On 12 March 2018, the Pinsk court equated live streams on Facebook and YouTube to foreign media. The unprecedented court decision marks the latest step in the Belarusian authorities’ crackdown against popular YouTubers. Prior to this, Belarus’s Investigative Committee pressured two well-known vloggers with criminal charges for insulting the president of Belarus. The Belarusian authorities’ nervous reaction to popular YouTubers demonstrates the ineffectiveness of the state’s ideological efforts. The giant Belarusian state media machine has failed in both Minsk and the regions by promoting outdated propaganda narratives. Belarusians of all ages turn to the internet in search of objective information and discussion. Therefore, instead of instilling fear and intimidation, the persecution of Belarusian vloggers brings them additional clicks and subscriptions. The recently pressured vloggers share an antipathy for the current authoritarian system in Belarus. Over the last two years, they have produced politically-charged content which captured the attention of millions of Belarusian viewers. Sciapan Sviatlou, a 19-year old student from Minsk, recently became the biggest Belarusian star of YouTube. Sviatlou’s YouTube channel, NEXTA, excels in producing original videos about Belarusian events. The channel features regular newscasts, entertainment videos, and music covers. “What news” – NEXTA’s weekly news digest – focuses on Belarus’s politics and social life. “What news” skilfully combines serious analysis with humorous commentary. Alexander Lukashenka remains the top target of the channel’s sophisticated satire. The NEXTA channel boasts staggering popularity in Belarus: each video receives on average between 200,000 and 400,000 views. In the two years since its registration on YouTube, NEXTA has outperformed Belarusian state television. In particular, NEXTA possesses more subscribers on YouTube (130,078) than either the top Belarusian state television channel ONT TV (100,352) or the Polish-funded multimillion-euro television channel aimed at Belarus, Belsat TV (57,598). Pavel Spiryn, a 33-year old lawyer from Minsk, uploaded his one-hour movie about Lukashenka in December 2017. Spiryn chose to name the movie “Step-father”, highlighting the contrast with Lukashenka’s official nickname “Batska” (“father” in Belarusian). According to Spiryn, Lukashenka acts as an evil “step-father” towards the Belarusian people and holds them hostages to his authoritarian rule. Spiryn harshly criticizes Lukashenka’s policies and slams incompetent Belarusian officials. So far, “Step-father” has received approximately 600,000 views on YouTube. 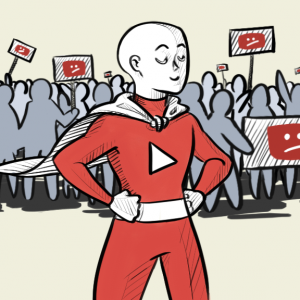 Several influential YouTubers have appeared in the Belarusian regions. In many ways, the scandalous Presidential Decree No. 3 on “preventing social dependency” (also known as the “social parasites” tax) triggered their media activities. The discriminatory character of the infamous Decree No. 3 rapidly turned ordinary people into political activists. Maksim Philipovich, a 34-year old driver from Homiel, initially set up his YouTube channel “No Guarantees” to blog about online purchases from China. Yet, the vlogger got actively involved in protests against the social parasite tax. Philipovich filmed mass rallies across Belarusian cities and put the videos on his channel. “No Guarantees” subsequently featured numerous trials of political activists from the Homiel region. So far, the channel has accumulated more than 8 million views. Siarhei Piatrukhin, a 48-year old actor from Brest, earned his popularity by following the footsteps of Alexei Navalny. Piatrukhin’s channel, “People’s Reporter”, features videos related to controversial issues affecting the Brest region. Notably, Piatrukhin publicly investigated corruption schemes used by Brest’s top officials and filmed his personal experiences dealing with rude police officers. Moreover, he raised the alarm about the construction of a potentially dangerous accumulator plant near Brest. Dramatic content coupled with bold headlines have brought at least three million views for “People’s Reporter”. The popularity of these regional vloggers largely stems from their focus on local issues. In fact, Piatrukhin and Philipovich act as investigative journalists. Unlike Belarusian state television, the vloggers honestly report about the problems of their regions. Philipovich was the first target of the Belarusian justice system. In July 2017, the Homiel court opened a criminal case against him on charges of “replacing the state media with his own video production.” The prosecution maintained that Philipovich had to officially register his YouTube channel as foreign media. A team of human rights lawyers managed to prove the absurdity of charges against the vlogger, and the Homiel court eventually ruled that video hosting platforms did not count as foreign media in Belarus. Nevertheless, on 13 March 2018, the Pinsk court fined Piatrukhin and his colleague Alexander Kabanau for live-streaming on Facebook and YouTube during their meeting with the managers of the accumulator plant’s managers. Hence the court in Pinsk de-facto recognized Facebook and YouTube as foreign media in Belarus. Sviatlou has recently attracted the attention of Belarus’s Investigative Committee. On 22 February, unknown representatives of the Investigative Committee confiscated a camera and notebook from Sviatlou’s parents’ flat. They cited as legal grounds for the confiscation a written complaint by an unknown citizen, which stated that one of Sviatlou’s videos insulted the president (punishable under Article 368 of the Criminal Code). On 5 March, Spiryn visited one of the police departments in Minsk to testify about the production of “Step-father”. The officers conducted a phonoscope examination of Spiryn’s voice. Spiryn does not exclude the opening of a criminal case against him on charges of insulting the president. A threat to internet freedom in Belarus? The Pinsk court’s absurd decision presumes that each personal video uploaded by Belarusian citizens to social media platforms classifies as foreign media. Any Belarusian YouTuber could find themselves fined for “illegal media production and distribution.” So far, the Pinsk court’s decision has not sparkled mass outrage among Belarusians. Hence its implications remain unknown: either the Belarusian justice system will neglect the premature decision of an overzealous judge, or it will use it as a precedent to fight politically-charged vloggers. Nevertheless, the persecution of popular YouTubers has not benefited the Belarusian authorities thus far. On the contrary, Belarusian vloggers have received additional popularity at home and abroad. Taking into account the fact that criminal proceedings against Sviatlou and Spiryn have not officially resumed, the Belarusian authorities still weigh up whether to persecute vloggers or to set them aside. In conclusion, the Belarusian authorities still focus on the little things while ignoring serious issues. The true danger for Belarusian statehood lies in aggressive messages undermining its sovereignty by Russian media outlets. Instead of persecuting vloggers, the Belarusian authorities should limit anti-Belarusian propaganda conducted by Russian media. On 12 March 2018, a Minsk court sentenced Sviataslau Baranovich to three years in prison. He admitted that he had hit police officers in civilian clothes during the brutal arrests of anarchists. In recent years, the anarchists have become the most persecuted group opposing Alexander Lukashenka’s regime. They remain the most extreme organisation with a capacity to organise street protests and radicalise them. However, it remains difficult to call some of the anarchists’ actions, such as the burning of billboards, politicised or even rational. Therefore anarchists have become a serious dilemma for human rights organisations because they do not know how to view them, although the government clearly sees anarchists as a political problem. Anarchism in Belarus first appeared at the beginning of the twentieth century, although it took a very different form to the contemporary movement. At that time Bialystok (then part of the Hrodna region in the Russian Empire) became the centre of the Belarusian anarchist movement; anarchists organised economic strikes, expropriations and the killing of police officers. The anarchists in Belarus had strong links to the movement in Russian (perhaps even belonged to it). For instance, the first Belarusian anarchist, Siarhiej Kavalik, followed the ideas of Mikhail Bakunin, one of the principal founders of anarchist theory. Anarchists often had Jewish origins and their victims were also Jews, since they often represented the capitalist (exploitative) class. But in general the movement proved something of an alloy, including intellectuals, the unemployed and criminals, according to a recent Russian-language book by Jury Hlushakou called Revolution Is Dead! Long Live the Revolution! Anarchism in Belarus 1902—1927. Despite differences from earlier eras, contemporary anarchists’ choice of a specific ideology faces some restraints since communism remains an origin of Belarusian anarchism. As Mikalai Dziadok, one of the representatives of the movement, explained in an interview to Euroradio in 2017, anarcho-communists comprise the majority in the Belarusian anarchist movement. Where other versions of anarchism, popular in other countries, emphasize individuality, Belarusian anarchism remains primarily collectivist. In all countries anarchists annoy the state authorities, but the Belarusian government has a much stronger feeling. Undoubtedly, the Belarusian anarchists remain the most radical opponents of Lukashenka. In 2010 they threw smoke grenades and set fire to the Ministry of Defence and a casino; in 2016 they threw paint at the main entrance of the state television company; and in 2017 showed themselves the most organized group of the protesters against the law on parasitism, the most popular protests in the Belarusian regions in history. In Brest, a city in western Belarus, anarchists initiated those protests. The movement’s structure remains opaque, so no one knows exactly how many people it comprises and their capabilities. The movement has a number of public representatives, including Mikalai Dziadok and Ihar Alinevich, known publicly because the court previously sentenced them to 4 and 8 years respectively in 2011. Their publicity is the result of their criminal record and not their wishes. Both, along with Alexander Frantskevich, formed part of the “anarchist case”, but Alinevich received the longest prison term. 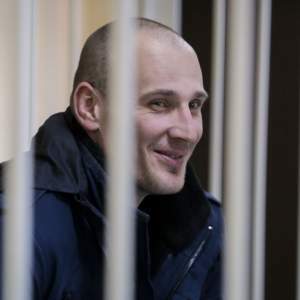 The court found him guilty not only for the aforementioned 2010 actions, but also for attacks on a branch of the Moscow-Minsk Bank and the Isolation Centre for Offenders Minsk. Even without traditional methods of organisation during their actions, anarchists look like they have the most effective organising capacity. Although it remains difficult to assess the size of the anarchists’ regional structures, for sure the figures are not small. For instance, the organisation of “Revolutionary Action” has four-and-a-half thousand subscribers on the social network VKontakte. No opposition group has as many subscribers. Recently, the Belarusian authorities blocked the page, but it still works through a virtual private network (VPN) or outside the country. However, such repressions do not mean that the government represses all activities of anarchists. The movement still has its own media website, pramen.io, which actually has a modest number of followers in social networks of around three thousand people; a “Free Thought” library operates in Minsk, although it is open just four hours per week; a “Food Not Bombs” initiative feeds poor people each week at three locations in Minsk, but also has some smaller groups in several other towns; and an “Anarchist Black Cross” helps anarchists and others somehow connected to the movement that have been imprisoned. Although Sviataslau Baranovich’s political views remain unknown, he will receive the help of the “Anarchist Black Cross”. The authorities see them at the same time as the most extremist enemies, able to radicalise protests and criminals, says the respected human rights defender Nasta Lojka in a comment to Belarus Digest. Accordingly, the prosecution of anarchists stems from mixed motives; it remains difficult to know whether Belarus’s authorities are defending public safety or Lukashenka’s regime. In fact, the government shows that it sees anarchists as political activists. For instance, before the presidential election in 2015, when Lukashenka pardoned a group of high-profile critics of the regime, the group included politicians such as Mikalai Statkevich and anarchists such as Dziadok and Alinevich. In some ways anarchists supply a convenient enemy for the authorities since they often break the law, giving the government an excuse to move against them. In 2017 members of the movement burned a billboard of the Ministry of Internal Affairs in Ivacevichy. Afterwards, three anarchists (17, 19 and 21 years old) received three years of probation. Independent journalists and human rights activists devoted little attention to this trial because it held no political significance. 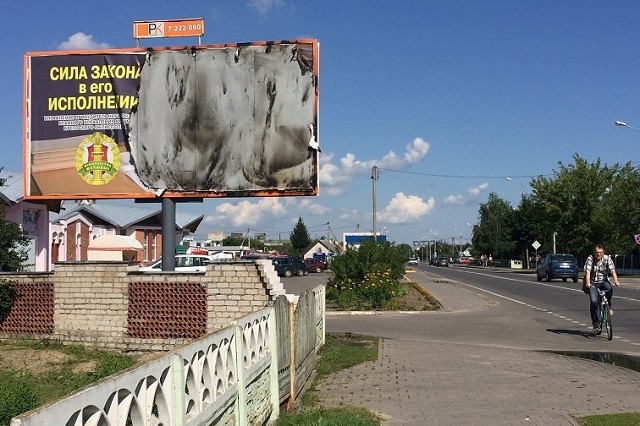 But, as Nasta Lojka says, police used the burned billboard as a pretext for searches in other cities, which looked quite far-fetched. 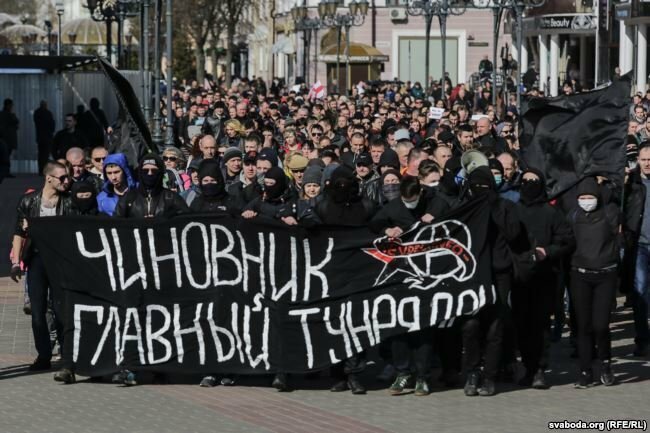 In 2017 Belarus held a long trial against an anti-fascist group of football fans, who received from 4 to 12 years for fighting, drug distribution and leading an unregistered organisation. However, authorities stretched some evidence in the case against anti-fascists so as to intimidate the entire community of informal youth groups. The politicization of other cases looks more obvious still. During the protests against parasitism police arrested dozens of anarchists or others close to the movement. As a result of the protests, one activist, Zmicier Paliyenka, went to jail. Belarusian human rights activists have recognized him as a political prisoner. However, the example of Paliyenka remains one of several. In practice, human rights activists try to avoid such criminal cases, especially involving violence. If anarchists consciously use violence, the human rights activists are forced to close their eyes to violations of rights against them.